Native American and Artisan Cross Jewelry for Men and Women including Cross Earrings, Cross Pendants and Cross Necklaces. 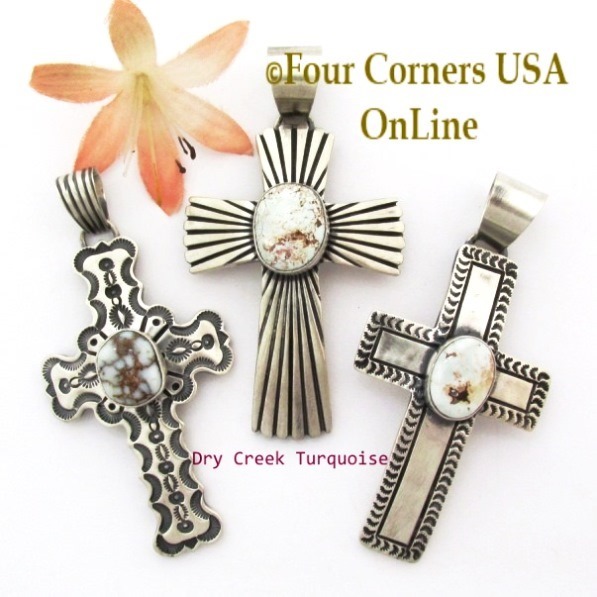 Four Corners USA OnLine Jewelry Collection offers various designs from modest to bold including Crosses with Turquoise, Lapis, Pink Shell and Multi Stone Multi Color. With selections from Large to Small Crosses there is surely something to delight you!